On my two iOS devices the NEEO app automatically updated to version 50.0 (previous version I believe was 48.2). The App Store description claims better performance under iOS 11 and faster (re)connecting to the brain. This definitely appears to be the case which makes using the app much nicer (though I still much prefer the remote). But on my iPad Pro 9.7 the NEEO app no longer has an icon (meaning iOS now shows the default blank icon canvas). My iPhone has the same version of iOS but still shows the NEEO icon. I’ve obviously tried restarting the iPad. Anybody else experiencing this? Hi Geert Van Der Linden ! We don't have an official app for the iPad at the moment. The NEEO app is currently only developed for the iPhone. Once we have an official app for the iPad we will announce it :). It should not behave different on a iPad than on a iPhone. As on an iPad it’s just presenting the user interface with a iPhone scale. have you tried to remove the app and reinstall it? Jeff maybe it’s just terminology but you do have an official iPad app, I know because I have it installed for many months now. You have no app that is optimised for iPad, it is only optimised for the phone but it works fine and I prefer to use the iPad when making changes to my configuration. Anyway, it still works fine and it is not a big issue but it also shouldn’t be a big issue to fix either and it just looks a bit sloppy so thought I’d mention it. Look at it this way, if a lot of apps showed blank icons we’d have a real issue because nobody would find his apps anymore, when only the NEEO app shows a blank icon I find it just as easy but it doesn’t give that premium feeling, does it? Geert Van Der Linden agree with you! Hope that sone day, the App is available as also a web interface for manage and usage. Markus Mahr I am intrigued, which unofficial way is there to do updates? Geert Van Der Linden Brain is accessible by every browser, but this is not officially as there are limits in support currently. Peter Muerner be warned that it’s officially unsupported. Things like pressing buttons won’t work. For making some configuration changes it’s just perfect. Markus Mahr I imagine it is even less supported but have you ever tried accessing http://IP_BRAIN:3000/projects/home and making changes there? Geert Van Der Linden you can read my API guide to get you started. Niels de Klerk was already doing that ;) thanks! Geert Van Der Linden I didn’t document the potentially dangerous API calls. I f###ed up my system a couple of times but I was always able to repair it. Make sure that if you add something that you also know how to remove it in case it goes wrong. Niels de Klerk didn't do anything dangerous yet but struggling to get fields from a collection. I can get down to a specific device but if I want to get its name for example I cannot seem to make the ?h=*fields: part of the call work. Have you experimented with this before? Geert Van Der Linden I’m sorry but I have no idea what that is you are trying. What I did was using wireshark and capture the API calls that the EUI made. I’m using a lot of them in my homey app. For instance: starting/stopping recipes, editing favorites, upgrading the brain, pressing buttons and checking recipes status. I made these available to the homey UI. Niels de Klerk I am investigating if I can use REST to customise my configuration (assign a different icon, rename a recipe, rename a shortcut, etc.) It seems easy enough when looking at http://IP_BRAIN:3000/projects/home where just a couple words need changing and in a past life I did many of such "dangerous" updates in an SQL world. But right now I cannot even get the GET statement fine-tuned enough. I was also using Wireshark to see if I could get any wiser but I am attempting stuff that is not yet supported by NEEO, in other words there are no API calls to capture. Geert Van Der Linden Hello! 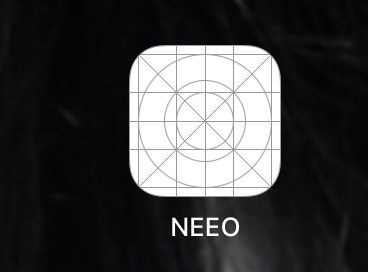 Please note that we (NEEO) do not have an official iPad app. When we release one, we will announce it here on Planet NEEO. 8 months later, still have no icon on the iPad, maybe Jeff wants to tell me one more time NEEO doesn’t have an official iPad app? Oh well, guess things could be worse, imagine NEEO would cease to exist and we could stop waiting for the product we were promised?